In 1944, no one talked about using computers to determine the tendencies of an opposing football team. They didn’t have one? Wrong! The Snohomish Panthers did. More amazingly, it was carried out on the field for every practice and every game. It wasn’t heavy and it fit nicely inside one of the helmets. How did it work? We really didn’t understand that. How was it used? Easy question to answer. If, on the way from the huddle to the line of scrimmage a player was not sure of his blocking assignment, he simply asked it and received the answer. If a play was run for “no gain,” the computer had the “missed block” diagnosed in time for a “chewing out” prior to the calling of the next play. Impossible? Nope. That computer not only fit inside the helmet, it fit on the inside Keith Gilberson’s uncanny football-oriented brain. 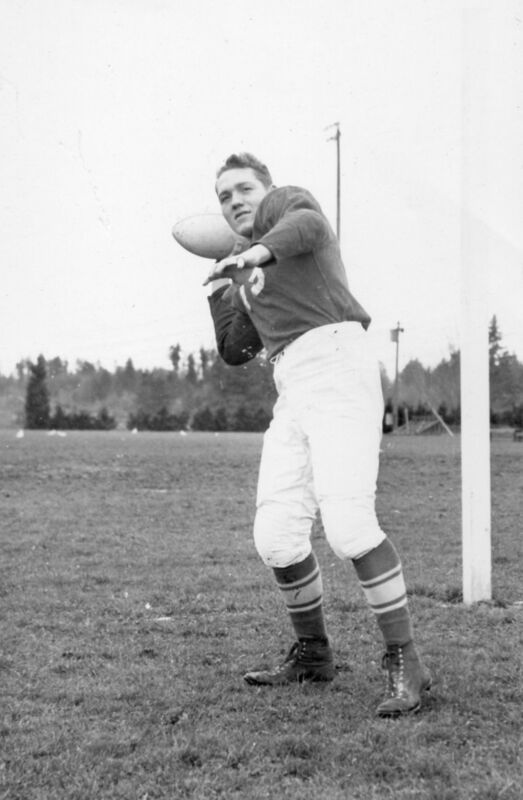 Stan Bates received the credit, and rightfully so, of coaching that team to an untied, unscored upon and undefeated league championship, but the “coach on the field,” all-league Keith Gilbertson, contributed mightily to the efficiency of both the offensive and defensive teams of 1944.